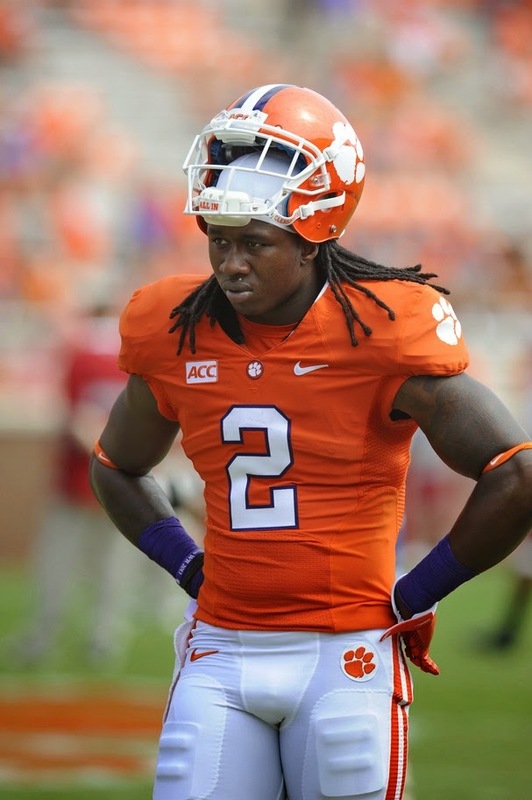 Look, I believe Sammy Watkins is going to be an NFL star. If the Lions traded up from the 10th overall pick in the first round to select the wide receiver from Clemson, I'd understand why. I don't see any scenario where Watkins, who is exceptionally fast and productive, would be there at No. 10 overall. ﻿﻿﻿﻿- The Lions already have a premier wide receiver in Calvin Johnson and signed free agent Golden Tate, the leading receiver for the Super Bowl champion Seahawks, as a free agent. I see tight end Eric Ebron from North Carolina, who has a very similar skill-set as 49ers' tight end Vernon Davis, as being as special at his position as Watkins is at WR. More than another wide receiver, the Lions need a TE who can split the seam deep. Ebron can do that, and runs exceptionally well after the catch, although there is a possibility he won't be there (Buffalo reportedly is considering him seriously at No.9 overall). ﻿﻿- This is an exceptionally deep draft at wide receiver, perhaps the deepest ever for the position. The Lions should be able to draft a receiver in the second or third that would have gone in the first round most years. .- The Lions need to improve defensively first and foremost, especially in the backfield. Because of the depth at receiver and the relative lack of it in the secondary positions, the pickings will be a lot slimmer after the first couple rounds of this draft. - Because the Lions are heavily-invested in the salary cap with three players (Calvin Johnson, Matthew Stafford and Ndamukong Suh), it didn't allowed them to augment their depth as much as needed during free agency. It would be taking away from their depth even more if they had one less early-round draft choice if they moved up to select Watkins. Pat, I am going with Barr right now at 10 unless something unusually happens and Matthews falls. With the Lions, I would not count out Lewan. They could also draft a WR in the second. Defensive back would be a great pick up. Your right Pat, I wouldn't trade up because you can still get good players at 10 and second round picks. Secondly the cost, I know salary cap keeps going up but so do the Lions players' salary. Stay at ten. Keep your picks. Take the best corner. Lions will go nowhere until they can get stops on third and long. Is this Tom Izzo's best coaching job?